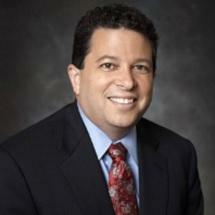 Jeffrey is a founding partner and principal of Maltzman and Partners and is “Of Counsel” with the Nield Law Group APC. Jeffrey specializes in all aspects of complex litigation, resort and tourism law, admiralty, insurance defense, medical malpractice, and corporate crisis management. In his 22 years of practicing law, he has accumulated extensive experience handling a wide array of high profile cases in state and federal courts nationwide. Jeffrey has substantial trial experience, has been featured in the National Law Journal, and is a fellow of the Litigation Counsel of America. Clients frequently call upon Jeffrey to help their companies effectively respond to major mass casualty and other high profile crisis. He has appeared as an expert or spokesperson on CNN, Court TV, Dateline, Nancy Grace, Anderson Cooper 360, and the Today Show. Outside the courtroom, Jeffrey frequently lectures on a wide array of human resources and tort issues. He also provides employee training on issues such as diversity and sexual harassment. When not practicing law, you can usually find Jeffrey working at his award winning California winery which produces exceptional Cabernet Sauvignon, Syrah, Savignon Blanc and Chardonnay under the brand names Maltzman Family Vineyards, Navigator Wines, and Gold Creek Vineyards. Board Certified Legal Specialist in Admiralty & Maritime Law; State Bar of California.